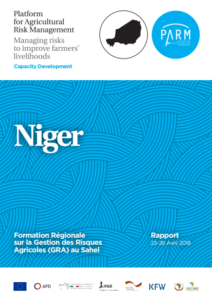 From 23rd to 26th April 2018, PARM and AGRHYMET organised in partnership an advanced ARM training course (CD2) to create a pool of certified ARM experts among the extension service to support farmers across Niger and the Sahel region. researchers and students from AGRHYMET. Module 4: Roles and responsibility for ARM. 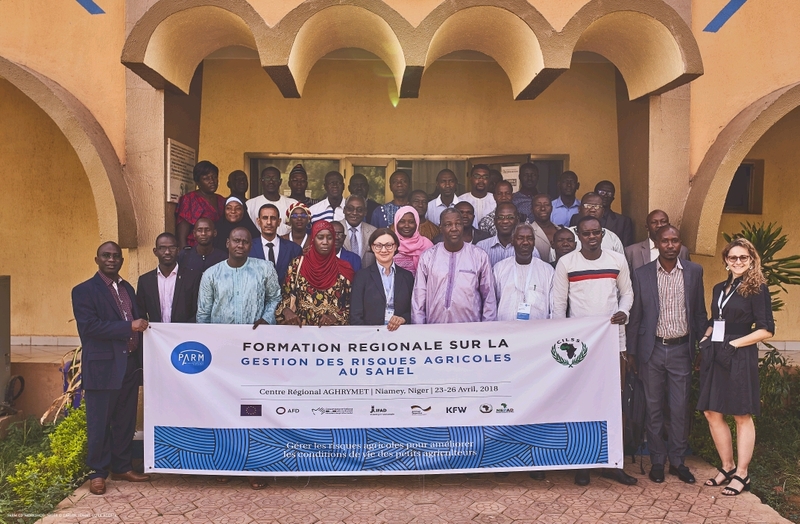 The ARM training aimed to raise awareness on agricultural risk management and present case studies/ARM initiatives within the Sahel region. It was conducted in a very coordinated way, it was informative and complete, considering both the PARM holistic approach and the ARM practical examples from countries represented in the training. The participatory approach fit with the interest and the willingness to get involved with the audience. PARM and AGRHYMET will continue working together to include the ARM curriculum in MSc programmes offered by AGRHYMET. Read this news in French.